For a quality towing in Gilbert, call towing Gilbert AZ today. With our qualifications and expertise in the towing industry, we believe that you can depend on us. We served the residents in Gilbert for almost a decade now. Since our technicians are certified and trained to handle towing of different car models and types, we can help you with your issue. We suggest you not to ruin your day with just a simple car issue. Contact Terris Towing today to discover more about our services. When it comes to traveling, cars can provide ease and convenience. They also provide protection and safety when traveling short or long distances. If you experience a car breakdown, it can really become very frustrating. In such a difficult situation, we want you to put your trust in us. We provide a wide range of towing services at the most reasonable rates. Our fleet of tow trucks can transport your car from a difficult spot to a safe location. That is why if you need local towing or long distance towing, we can help you with it. Car issues are a common occurrence. When you drive your car to school, or work and a car trouble occurs, it can potentially ruin your day. In Gilbert, you can call Terris Towing to help you out. Our towing in Gilbert is available to customers twenty-four hours a day, and seven days a week. Call towing Gilbert AZ right away for the best towing service! Nothing can beat the fastest towing service in Gilbert that we could offer. We take pride in providing quick turnaround time. This way, we ensure to you that you will never be late for your next appointment. 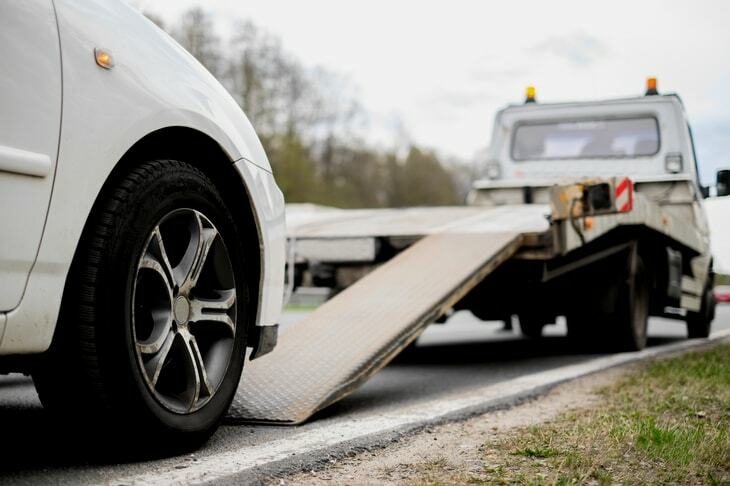 Since a difficult road situation can leave you frustrated, do not hesitate to call Terris Towing for help. Together with our team of expert technicians, you can relax knowing that your car is handled by the best towing in Gilbert. Whether you want us to transport your car to a car mechanic, or it is an emergency roadside assistance, we at Terris Towing can help you. We offer a selection of towing services that you can rely on. With our services that are offered at the reasonable rates imaginable, we at Terris Towing are exactly what you are looking for.